NASHVILLE, TN. - (March 27, 2019) – Veteran Marine and Louisiana singer and songwriter, Steven John Simon, has released a visual and moving lyric video for his second single, “Eyes Closed.” The video is available on his Facebook page and can be watched on his artist YouTube page here. The evocative single is available on all digital music platforms here. Stay up to date with everything on Steven John Simon’s website stevenjohnsimon.com. Follow Steven on social media platforms Facebook, Twitter and Instagram and watch his videos on YouTube. Music is available on all digital music platforms for streaming and download on Spotify, Apple Music, Google Play, iTunes, Amazon Music and more. Heart Songs Records and was swiftly signed to a management production deal with the label. His social media growth is on fire. Over the course of a few months he has developed a fan base of country music fans that are encouraging him to pursue his music. They want more! Steven was born and raised in Louisiana. He is a family man and loves being a single father to his two children Navika & Cole. Steven works in the oil field as did his father and most of the men in his family. He ventured into the oil field after serving our country in the Marine Corps. He was stationed at Camp Pendleton (California) for two years and then spent three years on security at the Embassy in Dakar, Senegal, West Africa & Singapore. Steven is currently a Subsea Engineer which includes the operation and maintenance of the Blowout Preventers (BOP's). Steven became interested in singing at the age of 20, but put his dream on the back burner to serve our country. It was his daughters desire to start pursuing a career in music that led him to start pursuing his own dream. He wanted to lead by example and guide Navika in her own journey. "What a better way to help my daughter, than show her how it is done." They really are supportive of one another, they recently traveled together to audition for The Voice. Steven said recently in an interview, "My main reason for pursuing it now is to show my kids that anything is possible if you WORK for it! No one will hand it to you, you have to make it happen." Steven released his first single, produced by Larry Beaird, "Tongue Tied" on 11.30.18 which made its debut on Itunes Hot Tracks. Steven’s second single, “Eyes Closed,” was released to all digital platforms on March 15. Nashville, TN -- Singer/songwriter Jimmy Charles’ debut EP, HARD WAY TO GO, is set for December 7 release. Charles wrote or co-wrote all but one of the songs withpartners whose credits range from cuts by Country legends (Garth Brooks, Reba McEntire, Randy Travis) to young guns (Chris Cagle, Hunter Hayes, Eli Young Band). The disc includes the previously-released “Superman” and his current single, “I Am Not Alone.” His music is available to radio via Play MPE and AirPlay Direct and music lovers can find “I Am Not Alone” now on iTunes, Amazon and other popular e-tailers. Fans eager to hear more will thrill to this seven-song outing.Six of the tracks were helmed by respected producer Paul David (CeCe Winans, Andre Crouch, Jonny Lang) and recorded at Ocean Way studio in Nashville with some of Music City’s hottest pickers. “I Am Not Alone” was produced by Grammy Award-winner Lawrence “Boo” Mitchell (Rod Stewart, Al Green, John Mayer) and recorded at the famous Royal Studios Memphis. From rowdy to sweetly sentimental, from tender to towering, Jimmy’s latest music shows why his popularity has grown from year to year and from show to show. HARD WAY TO GO kicks off with shredding guitars and a pounding bass and drum line set the stage for a rocking ode to paradise on “Blue Spaces.” The tempo and feel change dramatically with Jimmy’s emotive vocal and the tender “home is where the heart is” message of “She’s Where I Belong.” Charles fires it up to tell of the challenges he’s faced while chasing his dream with “Rollin’ On,” a new Southern Rock classic ala Lynyrd Skynyrd that highlights edgy guitar riffs and a vamping chorus. Tasteful acoustic guitar, mandolin and Jimmy’s raw vocal vulnerability shine through on the whisper-soft “God And A Woman,” which conveys the amazing grace found in both love and faith. The tune is a perfect segue to “Superman,” which was written specifically for ZERO Cancer, a support organization. A perennial fan favorite due to Jimmy’s powerful performance and his work as the organization’s national spokesman, the production perfectly mirrors the dramatic highs and lows found in the fight against cancer. “I Am Not Alone” is another purpose-written song about battling this disease. An anthem-like rendering, it shows Jimmy’s dedication to cancer awareness, prevention, and aid. The EP closes with the title track, “Hard Way To Go,” a song that takes the Maryland native to a “different place” every time he sings it. “This is raw and true and deep,” he says. “It’s about addiction; about not giving up.” The track opens with an echoing, acoustic guitar and the lyric is stark. The vocal is a triumph; need, hopelessness, faith, and forgiveness are all conveyed here, and it is a poignant close to this project. All downloads of the “I Am Not Alone” single, and a portion of the album sales, will go to #IAMNOTALONE. To donate directly to the nonprofit, click HERE. He’s made a national name for himself with compelling original material and toured the country opening for Lady Antebellum, Montgomery Gentry, Kip Moore, Kacey Musgraves, Josh Turner, Merle Haggard and more since launching his music career in 2014. A Season 9 American Idol “Hollywood ticket” participant, he placed in the Top 50 of Nashville Star in 2013. The singer/songwriter found early success with his first single, “Whatever It Takes,” and the power of his second release, “Superman” solidified his place in the spotlight. The single’s companion video premiered on CMT, trending in the #1 spot for over a week, generating over 5,000 shares its first day on the site. His third single, “Bout Summertime” showcased his more adventurous and carefree side, landed him on the MusicRow Chart and set the stage for “I Am Not Alone.” A native of Ocean City, Maryland, Jimmy graduated from Towson University. He played football and baseball, loves to fish, work out, play golf, and spend time at the beach. When he’s not on the road touring, he enjoys playing with his bulldog Hank. "A Good Time For A Great Cause"
Nashville, TN (November 6, 2018) - Singer/songwriter and philanthropist Jimmy Charles will lead a Cancer Survivors' March on Saturday, November 10, crossing the Cumberland River via Nashville's Pedestrian Bridge at 4 p.m. and on to The Anchor Fellowship (629 3rd Ave. South) for a pre-release album celebration for HARD WAY TO GO from 6 - 10 p.m. A fundraiser for the artist's new charity #IAMNOTALONE, the March is free and open to all cancer survivors and their supporters; admittance to the cocktail reception and Charles' performance at The Anchor requires a $50 donation per person. All participants of the March will be filmed singing the chorus of Jimmy's "I Am Not Alone" for the upcoming companion video. The highly-acclaimed, award-winning firm of Saylors Brothers Entertainment, known for their work in television, film and music video formats (featured on/in MTV, BET, BBC, Hollywood Reporter, Variety, NY Times, Time Magazine and more), will shoot with drones and on-the-ground cameras. All participants are asked to wear a t-shirt featuring the cancer organization of their choice OR a special #IAMNOTALONE t-shirt available for purchase HERE. Anyone who pre-orders a shirt can pick it up beginning at 3 p.m. in the Nissan Stadium Parking Lot "R." The lot has been reserved for the March and free parking is available from 3 p.m. to midnight on November 10. Filming will continue at the evening's performance, and attendees are asked to come and enjoy the great music, tasty food and have a good time for a great cause. "I'll be singing my new songs, as well as some fan favorites with my band," Jimmy notes. "That this all benefits #IAMNOTALONE is incredible, and I'd like to thank everyone who is marching, all of our helpers and all of our sponsors for their support." Music is Jimmy's focus, but compassion and activism round out his world. A national ambassador and spokesman for ZERO Cancer since 2014, Jimmy is inspired by the cancer survivors he's met at the many Run/Walk events where he's performed, and by loved ones lost to the disease. "I've learned so much from them," he says. "Their stories might break my heart, but our journey together makes me whole." The young singer/songwriter was named Outstanding Young Tennessean (2017). His music is available to radio via Play MPE and AirPlay Direct and fans can find "I Am Not Alone" on iTunes, Amazon and other popular e-tailers. He's made a national name for himself with compelling original material and toured the country opening for Lady Antebellum, Montgomery Gentry, Kip Moore, Kacey Musgraves, Josh Turner, Merle Haggard and more since launching his music career in 2014. A Season 9 American Idol "Hollywood ticket" participant, he placed in the Top 50 of Nashville Star in 2013. The singer/songwriter found early success with his first single, "Whatever It Takes," and the power of his second release, "Superman" solidified his place in the spotlight. The single's companion video premiered on CMT, trending in the #1 spot for over a week, generating over 5,000 shares its first day on the site. 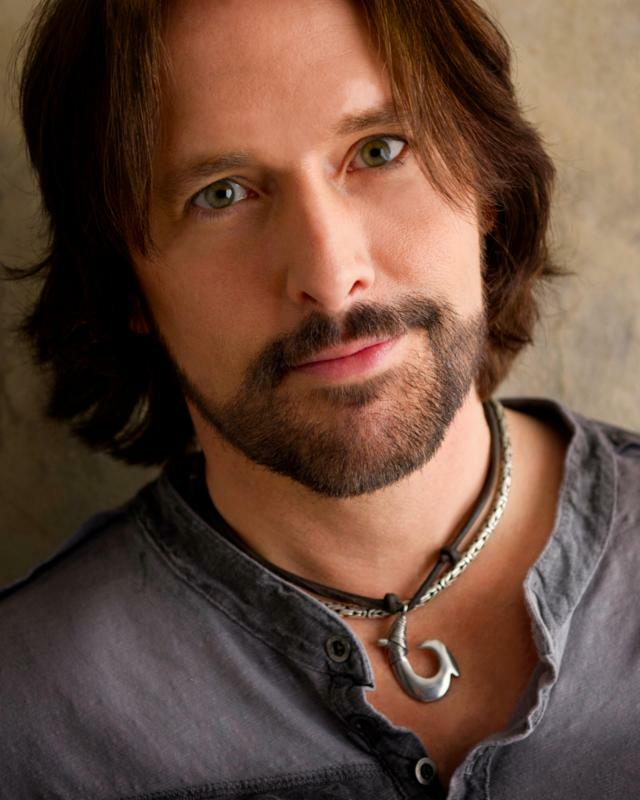 His third single, "Bout Summertime" showcased his more adventurous and carefree side, landed him on the MusicRow Chart and set the stage for "I Am Not Alone." A native of Ocean City, Maryland, Jimmy graduated from Towson University. He played football and baseball, loves to fish, work out, play golf, and spend time at the beach. When he's not on the road touring, he enjoys playing with his bulldog Hank. A 501(c)(3) national nonprofit that focuses on the cancer patient and their mental well-being, as well as finding a cure for the disease. The contract is a key part of the movement and involves the patient signing a contract with family and friends. This action creates a special moment between the survivor and their loved ones, allowing them to share their feelings, show their love and promise to always be there for each other. Nashville, TN (May 11, 2018) - Academy of Country Music Female Vocalist Of the Year, Grammy nominee and multi-million selling '80s icon Sylvia is set to release her newest CD, SECOND BLOOM - The Hits Re-Imagined, on Red Pony Records June 8. The album is available for pre-order now from iTunes and CD Baby. Fans who order digitally will receive "Like Nothing Ever Happened" as an instant gratification track. Those who prefer a disc, will have their album autographed by Sylvia and receive an email containing instructions on how to obtain their "grat track" download. The project's first single, a reprise of Sylvia's signature Country/Pop smash, "Nobody," has just been released to radio and programmers can download the track HERE. SECOND BLOOM includes 10 all-new interpretations of her # 1 / Top 10 hits from the RCA years (1979 to 1987). The Indiana-born songstress became known for her unique "Prairie Music" sound, with hits like "Drifter" and "Tumbleweed," and crossed over to the Pop market with the unforgettable "Nobody," which sold an astounding two million copies, spent 52 weeks on the Billboard charts, and was named BMI's Song of the Year. Sylvia's new version of "Sweet Yesterday" brings her life experience to bare with an even more poignant and meditative take on the song. "Cry Just A Little Bit" is updated with strings and drums with an infectious shuffle feel, while "Fallin' In Love" takes a decidedly Bluegrass spin that swings joyfully along as Sylvia's voice and Andy Leftwich's fiddle take turns in the spotlight. The disc closes with "You Can't Go Back Home," a song that was not previously released as a single, but serves as an allegory for Sylvia's approach to recording SECOND BLOOM. The song metaphorically reflects her intention to not re-record the songs note-for-note but to give them a fresh rendering. Sylvia's interpretation of the song is subtle, reflective, and memorable. This is Sylvia at her most powerful. The synthesizer-laden, Country/Pop sound of the past is replaced throughout with a cleaner, more streamlined and organic approach. Tin whistles and strings are paired, fiddle and classical guitar meet - and in each joining they form a magical backdrop for Sylvia's clear and soulful vocals. While much of her formative music is defined by a certain era and genre, the songs themselves are bound only by the artist's imagination. And Sylvia has imagination to spare. She and longtime collaborator John Mock modernized instrumentation and voicing and, in some cases, departed dramatically from the original production values. Consistent, however, are the signature licks that fans will recognize and Sylvia's genuine reverence for these tunes that form her artistic lineage. "My desire was to bring my music from the '80s into alignment with the music I'm creating today," she notes. "I wanted to breathe new life into the songs as if I was recording them for the first time while still honoring their musical identity. I believe the spirit of the music is just as relevant today as it was when these songs first bloomed." On SECOND BLOOM, Sylvia bridges the gap, bringing these hits to life in a new way while paying homage to the music that made her a star. This is an album that is by turns introspective and carefree, evocative and joyful. Longtime fans will remember why they fell in love with Sylvia's music, while new admirers will be captivated by the purity of her voice and musical convictions. Born in Kokomo, Indiana, Sylvia sold over four million records and enjoyed a string of hits that earned her multiple honors and awards. The Grammy-nominated singer/songwriter began sharing new facets of her voice and artistic perspective through her work on her own record label, Red Pony Records in the 1990s. In 2016, she released the critically-acclaimed IT'S ALL IN THE FAMILY, her most personal album to date and the first on which she co-wrote most of the songs. She's shared the stage with George Strait, Willie Nelson, The Oak Ridge Boys, Alabama, Kenny Rogers, Lee Greenwood, Dottie West, T.G. Sheppard, Janie Fricke, Bill Anderson, Hank Williams, Jr., and others. A certified life and career coach, she has been a board member of a non-profit serving those impacted by mental illness and substance abuse. She supports various charities, including Music City Animal Rescue, Park Center, and Crossroads Pets/Campus. Sylvia lives in Nashville, continues to tour and enjoys spending time with her Border Collie/Italian Greyhound mix, Cate. A local honky tonk named “The Iron Horse,” in Paul Bogart’s home town of Oologah, Okla., honored the breakout country artist with a commemorative painting on the dance floor where he had previously invited the town to be a part of the video-taping for the song “All That Cowboy Jazz.” The video debut was on September 8th, 2017 and went into immediate rotation on GAC, The Country Network and Heartland. The song received a first ballot Grammy consideration for “Best Country Song” and was the early focus track from his current project entitled “Leather,” which is available on all digital platforms. "To say I'm honored would be an understatement." Says Paul, "I'm not even sure how to go about thanking them. I never dreamed of seeing something like this!" Feb. 1, 2018 - Phoenix, AZ - Phoenix Convention Center National Cattlemen’s Beef Assn. Though his songs are fresh and he himself is young, he is an old soul with a knack for capturing time-honored traditions and summing up classic sentiments in catchy, three-minute songs. Exuding sincerity and a rare, down-to-earth charm, Paul Bogart is, simply put, the epitome of traditional country music. After nearly a decade of writing, playing and touring, Bogart has begun pulling in big numbers in every arena, literally. Whether it’s the main stage at the AQHA World Championships with thousands in attendance or the social media scene with over 5 million fans reached through his social platforms with videos like “The Cowboy Way” and “Cowboy Ride” Bogart’s songs have connected with America’s Heartland in a real, tangible way that modern country has perhaps missed. For more information on Paul Bogart visit www.paulbogart.com. Nashville's Paul Bogart will join Jon and Talkin' Pets 11/18/17 at 730pm EST to discuss and give away his latest music CD and his competitive life in "Heeling"
Win Comes on the Heels of the Anniversary of First Single and Video Release "The Cowboy Way"
NASHVILLE, Tenn. (November 14, 2017) -- Paul Bogart has been a cowboy as long as he can remember, growing up on a ranch in Oologah, Oklahoma. This past weekend team roping at the 2017 Lucas Oil AQHA World Championship in Oklahoma City with his father, Jack, he reined in another AQHA World Champion title in the AQHA Amateur Heeling event on the heels of the nine year anniversary of his first single and video of a classic cowboy tune appropriately titled “The Cowboy Way,” written by Larry Rainwater. Watch the video of “The Cowboy Way” HERE. The digital release of “The Cowboy Way” is available on all digital platforms. Paul recorded the acoustic performance during the “Leather” sessions, which were produced by Trent Willmon. This is a brand new version of the song that inspired the video that has received more than 1.3 million views on Youtube. Paul Bogart is sponsored by Olathe Boots, Shorty’s Caboy Hattery, Classic Rope, Taylor Guitars and Cinch Jeans. 2018 tour dates continue to be announced. Find everything Paul here: Spotify, Apple Music, Amazon Musicand on Twitter and Facebook. Though his songs are fresh and he himself is young, he is an old soul with a knack for capturing time-honored traditions and summing up classic sentiments in catchy, three-minute songs. Exuding sincerity and a rare, down-to-earth charm, Paul Bogart is, simply put, the epitome of traditional country music. After nearly a decade of writing, playing and touring, Bogart has begun pulling in big numbers in every arena, literally. Whether it’s the main stage at the AQHA World Championships with thousands in attendance or the social media scene with almost 4 million fans reached through his YouTube tribute, “Cowboy Ride,” Bogart’s songs have connected with America’s Heartland in a real, tangible way that modern country has perhaps missed. For more information on Paul Bogart visit www.paulbogart.com. The Lucas Oil World is the premier event in the equine industry. The show brings together exhibitors, owners, breeders and fans of the American Quarter Horse from around the world for two weeks of exciting competition, educational opportunities and a bountiful trade show. Lucas Oil is proud to be the title sponsor for the 2017 Lucas Oil AQHA World Championship Show. Other show and event sponsors include Adequan®, Bank of America, B&W Trailer Hitches, Cripple Creek, Boehringer Ingelheim, Ford, John Deere, Justin Boots, Markel Insurance Co., Montana Silversmiths, Nutrena, SmartPak, Wrangler, Zoetis, The American Quarter Horse Journal, American Quarter Horse Foundation, Iconoclast, Oklahoma City Convention & Visitors Bureau, State Fair Park, Four Sixes Ranch, USRider, Elite Stall Mat Rentals and Metro Golf Cars. 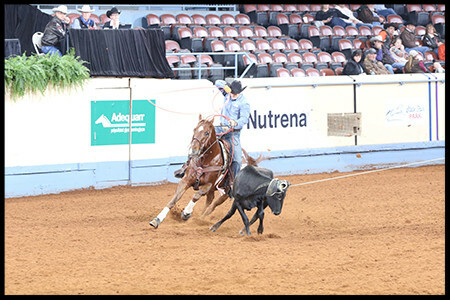 For more information on the Lucas Oil World and a tentative schedule, visit www.aqha.com/worldshow. If you were to turn on an old transistor radio and tune it to a country station, you might hear legends like Merle Haggard, Hank Williams, and Johnny Cash crooning from the speakers… but newcomer Paul Bogart could just as easily fit alongside that vintage lineup. Though his songs are fresh and he himself is young, he is an old soul with a knack for capturing time-honored traditions and summing up classic sentiments in catchy, three-minute songs. Exuding sincerity and a rare, down-to-earth charm, Paul Bogart is, simply put, the epitome of traditional country music. Possessing elements of a quippy, good-natured Brad Paisley song along with the boots-and-spurs appeal of a George Strait tune, Bogart’s music additionally radiates authenticity, a core component of country music. Bogart’s new release, Leather, is the perfect paradigm of that Old West lifestyle that Bogart himself lives and breathes, “This album is about hard work, hustle, and loving the woman God gave you,” he says candidly. “It’s about keeping your head down when you win and crawling back in the saddle when you hit the ground.” Sentiments Bogart knows firsthand, having grown up in north-east Oklahoma to a family of truckers, team ropers and musicians; the title track, “Leather,” hearkens back to those Heartland roots and homegrown work ethic. “I think about my grandparents and how hard they worked to make it,” muses Paul. “It’s given me inspiration and motivation to work hard and never give up on my dreams.” Indeed, Leather taps into the belief that there’s beauty that comes from weathering storms together and seeing tough times through; it’s an anthem for anyone who’s ever pressed on, persevered, or prayed for something better. Paul’s lead single and video, “All That Cowboy Jazz,” is an infectious western swing song that will have listeners on their feet, boot-scootin’ across the floor in seconds. Co-written with a Hall of Fame radio DJ (WSM’s Bill Whyte) and a world class multi-instrumentalist (Zach Runquist), Bogart lists the let-loose, line-dance-potential number as a personal favorite from the album. 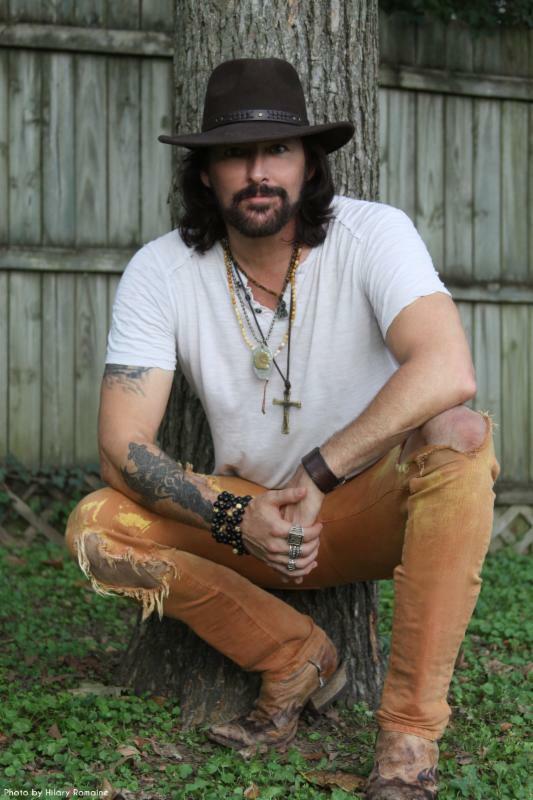 Produced by Sony Nashville recording artist Trent Willmon (Little Big Town’s “Rain on a Tin Roof,” Montgomery Gentry’s “Back When I Knew It All”), Leather was released on September 8th, 2017. For more information on Leather or Paul Bogart, please visit paulbogart.com. Nashville, TN (October 9, 2017) - Singer/songwriter Rick Monroe invites fans to sing from their "Gypsy Soul," via a contest that launches today on Facebook. Entrants have until November 13 to film their own version of Rick's signature tune, post the video to Monroe's Facebook page and then solicit "likes." The entrant with the most "likes" wins the contest. Contest rules are explained in a YouTube video; fans can get a free download of "Gypsy Soul" by texting "Rick" to 38470, or by clicking HERE. Lyrics are available on Monroe's FB page and website. The grand prize is a Monster-branded Schecter Electric Guitar, and additional prizes include Westone Audio UMPRO 30 in-ear monitors, a Rip Tide Ukulele from World Music Nashville, a custom Gypsy Soul ring from Speakeasy Original Jewelry, a box of Medium Acoustic Strings and t-shirt from GHS Strings, a Shubb Capo and t-shirt, and a Camo Soft cooler, hat, t-shirt and license plate from Banded.com. The contest, presented in conjunction with Evok Advertising & Marketing, runs today through November 13, and winners will be announced on November 20. 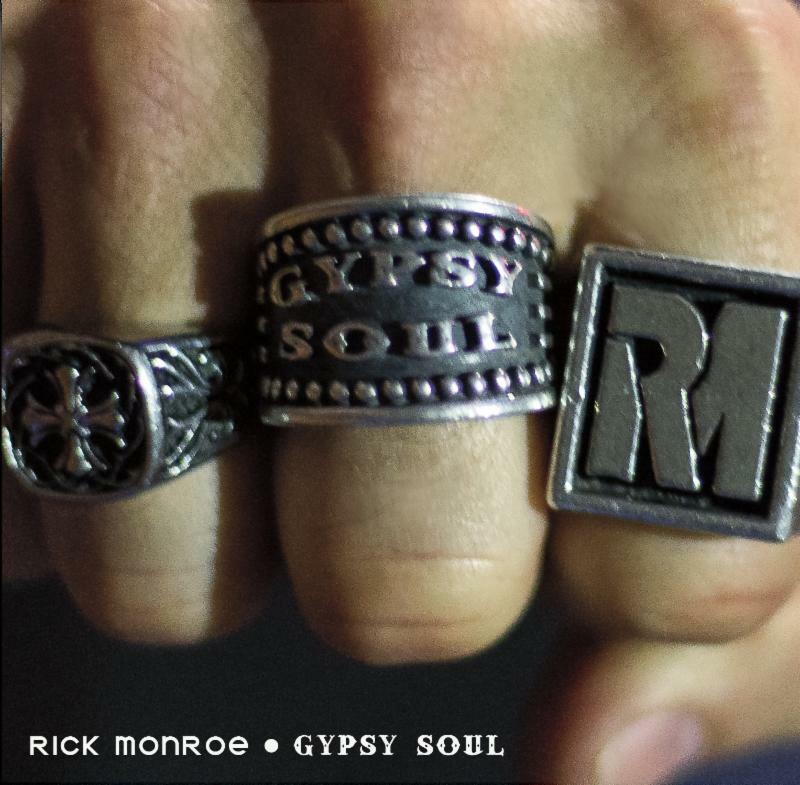 "Gypsy Soul" is the title track of Rick's current EP, which can be purchased from iTunes. Rick toured heavily this year, entertaining fans with the sultry Billboard hit, "This Side of You," and other songs from GYPSY SOUL. Monroe also revisited tunes from his previous project, IT'S A LOVE THING, including the previous Billboard hit "Great Minds Drink Alike." Rick made time to participate in several charity events, including a July house build for the Murfreesboro, Tennessee chapter of Habitat For Humanity. He also played in the annual Team Gamez golf tournament supporting The Boys and Girls Club, performed at a fundraiser for Folds Of Honor during The Masters Golf Tournament in Augusta, Georgia, and participated in the Hike for the Homeless, benefitting Safe Haven Family Shelter, Middle Tennessee's only shelter-to-housing program for families. With a down-to-earth Country resonance, Monroe is no stranger to the stage: he's performed in 17 countries - and every U.S. state except for Oregon. The seven-time Jägermeister Country Brand Ambassador opened for Eric Church, Dierks Bentley, Aaron Lewis, Eli Young Band, Charlie Daniels Band, Dwight Yoakam, Montgomery Gentry, Patty Loveless, Trick Pony, Emerson Drive, Pat Green, Randy Houser, Josh Thompson and more; entertained former Soviet President Mikhail Gorbachev, and U.S. troops in Vietnam. This year he traveled over 100,000 miles and played over 160 shows. Rick enjoys sponsorships and/or endorsements with Monster Energy Drink, Banded Brand (Clothing and Water Fowl Gear), GHS Strings, Framus Guitars, Westone Audio, Shubb Capos, Speakeasy Jewelry and Fishman Audio. Ideas. Work. Results. Evok Advertising is an award-winning full-service advertising and marketing agency serving national and regional clients across multiple industries. Providing branding, creative, interactive, social, traditional and digital media, Evok has been recognized for its work by Forbes, Twitter, VISIT FLORIDA, HSMAI, AdFed and the Orlando Business Journal. For more information go to evokad.com. Nashville, TN (May 8, 2017) -- Singer/songwriter Rick Monroe has been hard at work for the last several months promoting the May 12 release of his new EP, GYPSY SOUL. Now, with the clock ticking to Friday's official release, Monroe is doubling down. One Country will premiere the disc's title track today, and fans can listen live tomorrow, May 9, when Rick visits with Devon O'Day at 5:15 p.m. CT on WSM-AM's "Nashville Today" show. On Wednesday, The Boot will premiere "Rage On," the Outlaw/Southern Gospel sensation from the six-track EP; The Alternate Root will feature the gritty number in their Top 10 Songs of the Week on Saturday. Sean Giovanni (John Rich, Clint Black, Big & Rich) produced five tracks for the project, while renowned engineer/producer JD Shuff (Collin Raye, CeCe Wynans) helmed one. GYPSY SOUL can pre-ordered now at iTunes. "Really enjoying this EP. Fine original Country with some great perceptive lyrics." "A great introduction to Monroe's skills as a singer and songwriter. It's a journey that visits just about every facet of his musical soul, and with sumptuous results." The EP's groove-based first single, "This Side Of You," is already resonating with radio and listeners alike. The track is currently sitting at #52 on the MusicRow CountryBreakout™ Chart, and holds the #60 position on the BILLBOARD Indicator Chart. Fans can enjoy the track on Spotify. "WOW! People were talking about this for weeks after his performance. Not an empty seat in the house. Oh, did I mention, he was up against Miranda Lambert who was in concert down the road?" "Rick Monroe put on an awesome show; he had the crowd rocking from the first song till the last." "Rick is a favorite at the Mad Boar. A class act, one of the best we have ever had, can't say enough about him as an artist and a person." Born in Clearwater, Florida, Rick grew up in California, Connecticut, Kansas, North Carolina, and England. His outgoing personality and love of music naturally drew him to the stage - and he's never looked back. Rick's previous EP, IT'S A LOVE THING, includes his third Billboard hit "Great Minds Drink Alike." The "Great Minds" music video has logged over 300,000 views to date on YouTube, and helped boost Monroe's already impressive fan base. The seven-time Jagermeister Country Brand Ambassadorhas opened for Eric Church, Dierks Bentley, Aaron Lewis, Eli Young Band, Charlie Daniels Band, Dwight Yoakam, Montgomery Gentry, Randy Houser, Josh Thompson and more. Rick entertained former Soviet President Mikhail Gorbachev, and U.S. troops in Vietnam. In 2016, he traveled over 100,000 miles and performed over 120 shows. Rick enjoys sponsorships and/or endorsements with Monster Energy Drink, Banded Brand (Clothing and Water Fowl Gear), Framus Guitars, Speakeasy Original (custom jewelry), CRKT Knives,GHS Strings, Shubb Capos, Westone (In Ear Monitors) and Fishman Audio. Lionsgate, Mandoo Pictures, Huayi Tencent Entertainment Company, Eracme Entertainment, Dream Factory Group, Summit Entertainment and Summit Premiere present a PG, 80 minute, Animation, Comedy, Family film, directed and story by Ash Brannon with additional story material by Denise Bradley with a theater release date of February 24, 2017. PIGEON FORGE, Tenn. (November 16, 2016) – Dolly Parton’s Imagination Library, which began as a small community outreach in Parton’s native Sevier County, Tennessee, has evolved to become the largest literacy program in the world. In December, the “little literacy program that could” marks another impressive milestone—one million books gifted to children around the world each month. To celebrate the unprecedented success, Evey Johns, a two-year-old from Conway, Arkansas who just enrolled in the Imagination Library, has been randomly selected to receive a $30,000 college scholarship. The announcement was made by Parton during her Pure & Simple concert tour stop in Pigeon Forge, Tennessee on Nov. 15. Proceeds from the concert benefit the Imagination Library. The scholarship will be held in a special account and distributed to Johns when she enrolls in college. Over the next 16 years, the amount of scholarship should grow to nearly approximately $50,000. Johns is enrolled in the Imagination Library in Conway thanks to the local affiliate in her area, Arkansas Preschool Plus. In 2016, the Imagination Library and its local partners will gift nearly 11.5 million books to children from birth to age five in participating communities in the United States, Canada, the United Kingdom and Australia. To date, the Imagination Library, which is administered through the Dollywood Foundation, has provided more than 85 million books to children around the world. Arkansas Preschool Plus is just one of the many local affiliates the Dollywood Foundation works with to provide books to children. To provide the Imagination Library, a community must make the program accessible to all preschool children in their area, and the community pays for the books, promotes the program and registers the children. The Dollywood Foundation manages the delivery of books to children’s homes. Arkansas Preschool Plus enrolls 960 children in Conway, Faulkner and Perry Counties. Currently, nearly 15,000 children are enrolled in Arkansas. The Imagination Library currently is working with elected officials, foundations and corporations in Arkansas in an effort to make the program available to all children from birth to age five in the state. Founded in 1995, Dolly Parton’s Imagination Library is a book gifting organization that has, to date, mailed more than 85 million books to children in Australia, Belize, Canada, United Kingdom and the United States. Each month, the program currently mails more than one million specially selected, high-quality, age-appropriate books to registered children from birth until they start Kindergarten in participating communities. Dolly envisioned creating a lifelong love of reading in children, preparing them for school and inspiring them to dream. Recent studies suggest participation in the Imagination Library is positively and significantly associated with higher measures of early language and math development. Penguin Random House is the exclusive publisher for Dolly Parton’s Imagination Library. A highly-awarded and widely-recognized leader in the amusement industry, The Dollywood Company consists of the 150-acre Dollywood theme park; the 35-acre Dollywood’s Splash Country; Dollywood’s DreamMore Resort; and Dollywood’s Smoky Mountain Cabins. As unique as its namesake and owner Dolly Parton, Dollywood is the 2010 Applause Award winner, the theme park industry’s highest accolade; winner of nearly 30 Golden Ticket Awards; and recipient of 25 Brass Ring Awards for Live Entertainment (more than any other theme park in the world). In 2014, Dollywood was named a top three US theme park by USA Today and TripAdvisor recognized Dollywood as a top 20 worldwide theme park in 2015. Dollywood is open nine months a year (late March through early January) and offers rides and attractions, shows, and a dozen crafters authentic to the East Tennessee region. Dollywood’s Splash Country, recognized by the Travel Channel as one of the country’s most beautiful waterparks and named 2009’s Must-See Waterpark by the International Association of Amusement Parks & Attractions, operates from Memorial Day to Labor Day. The 300-room Dollywood’s DreamMore Resort provides guests spectacular mountain views and family-friendly amenities next door to Dollywood theme park and Dollywood’s Splash Country. Dollywood’s Smoky Mountain Cabins offers luxurious cabin accommodations overlooking Dollywood. For more information, call 1-800-DOLLYWOOD or visit dollywood.com. Operating days and hours vary.